Believe it or not, there is some good news about climate change; agriculture, if done correctly can play a powerful role in removing carbon from the atmosphere where it is wreaking havoc. This can be done by taking carbon from the atmosphere and putting it into the soil where it has the power to increase fertility, hold water, and improve crop yields. 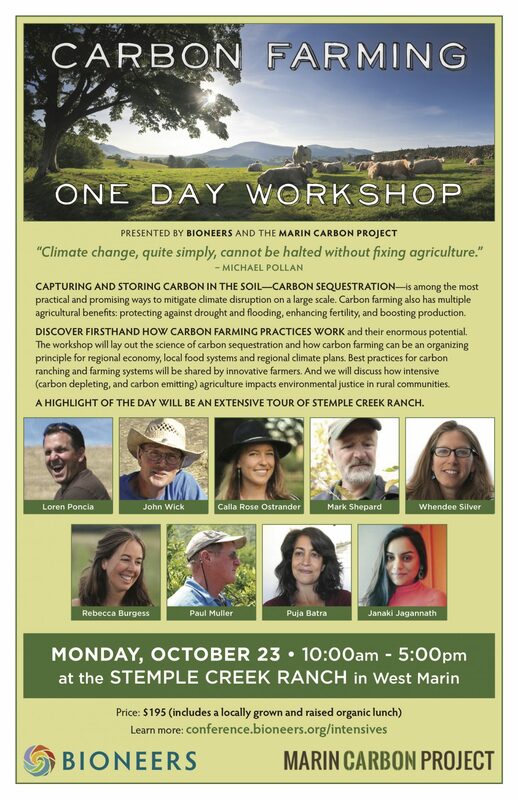 Learn more at the one-day Carbon Farming workshop in October as part of the Marin Carbon Project.